The Los Angeles Lakers are currently trailing the Portland Trail Blazers 57-56 at halftime and it seems there is some tension brewing between superstar LeBron James and Brandon Ingram. 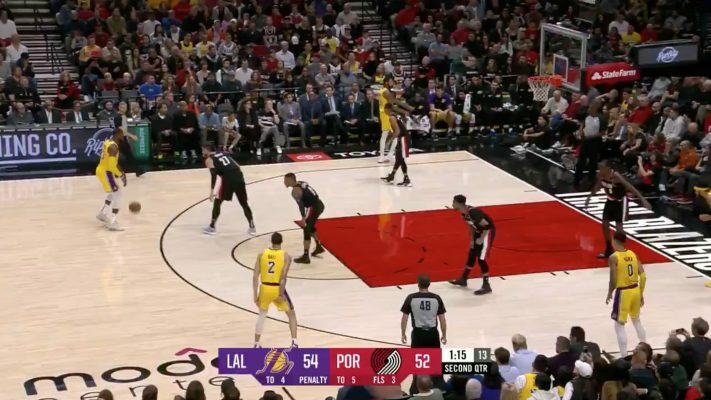 Late in the second quarter, on a switch, it seems that Ingram was asking for the ball in the post against Blazers guard C.J. McCollum. Instead, you can see James deciding to take opposing big man Jusuf Nurkic off the dribble. James did draw a foul on the big man, but you can see in the video that Ingram turned his back to the play and even yelled something to the bench. The Lakers are just 3-5 on the young season and establishing team chemistry was always on the agenda for the 2018-19 campaign. However, if the young core and veterans can’t eventually coexist, be prepared for some midseason trades as the Lakers look to advance deep into the playoffs this year.